Visiting Mudgee in NSW is nice. We would normally take the Tardis to an ideal caravan park that’s easy walking distance to shops, cafés & restaurants. 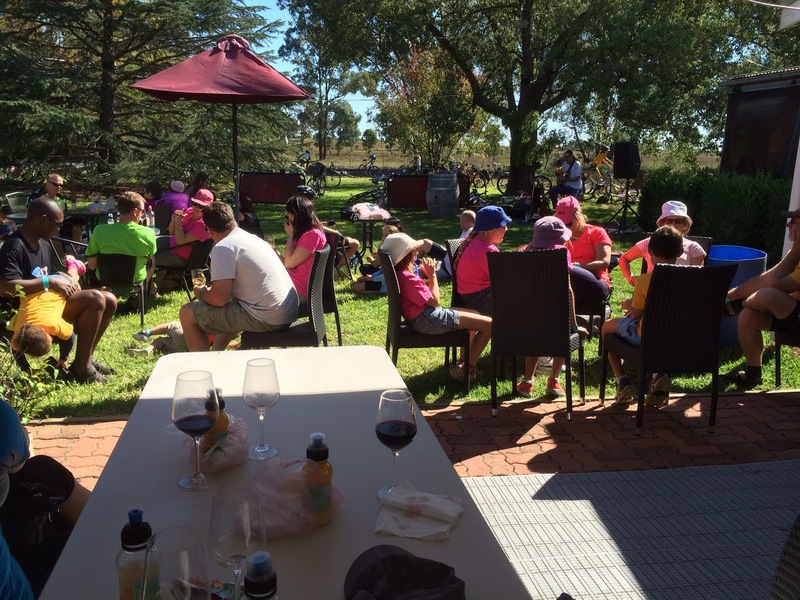 Mudgee is also ideal for lots of wineries close by, with good cycling along flattish & quiet roads. Easter this year was a bit of a different time for us, as we participated in the annual Mudgee Bike Muster. 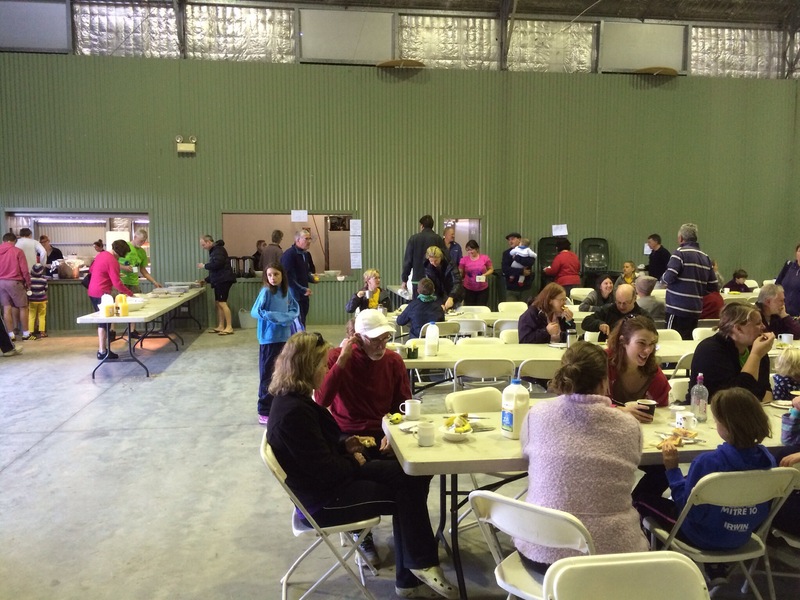 The Muster is based at the Australian Rural Education Centre, a few kms from town. A huge complex, offering powered sites & with good facilities. 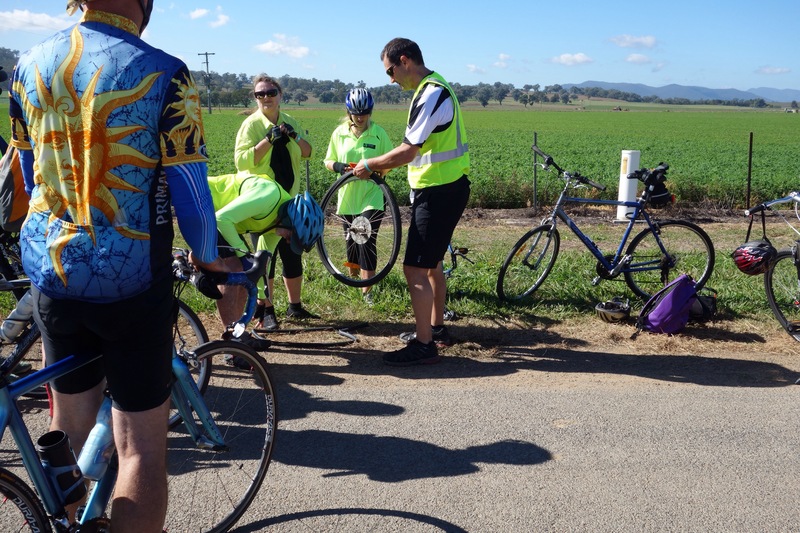 The organisers were able to provide all meals & the only thing we left the site for, was to ride to wineries! Well, a bit more to it than that but you probably get the idea? The Centre had plenty of grassed campsites & with many well-compacted dirt & gravel roads. A very family-friendly event, it provided a safe environment for the youngest of riders to burn off energy & develop bike skills. Over the four days we saw examples of tantrums turn into happy faces, balance bikes discarded for pedal bikes & riders continually exploring & lapping the site. Not just an event for the very young, the few hundred participants were all ages & on an assortment of bikes. Yes, 5 Bromptons were there & really catching the eyes. Leaving Sydney on Thursday, we found another Pie in the Sky cafe for a snack along the way. 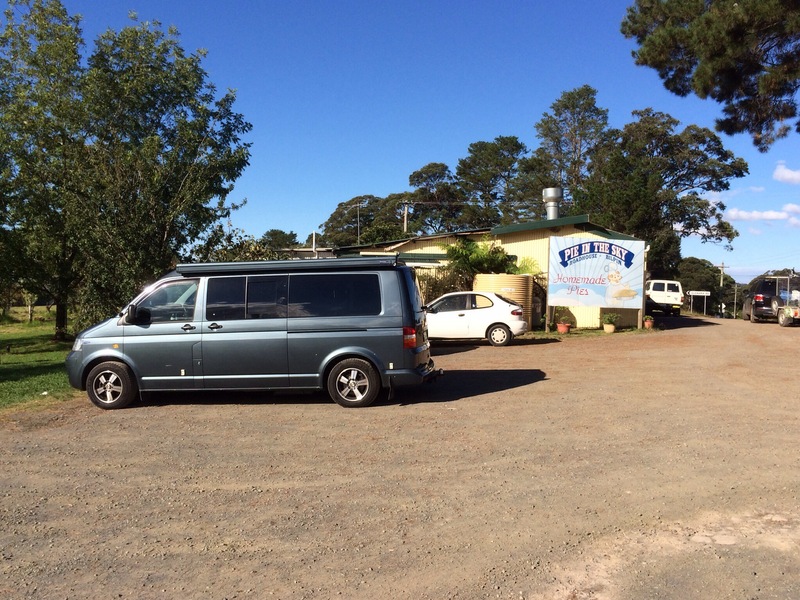 We’d intended an overnight stop at a quiet little caravan park at Rylstone. Little did we know that the Orienteering National Champs were being held in the area & many hundreds of attendees made the local facilities “rather cosy”, with tents & vans wall-to-wall? Fortunately, the park manager was understanding & slotted us in too. 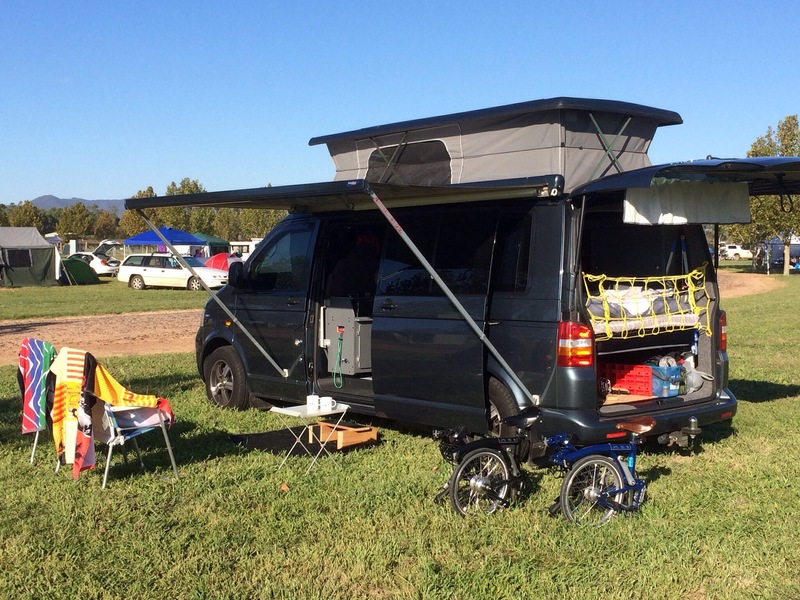 Next day we resumed our trip to Mudgee & headed straight to the AREC site for check-in & to setup the Tardis for our 4 day stay. Registration completed & we then needed to park & get comfy. Whoops! The site was a lot bigger than expected & we drove some slow laps trying to decide where to drop anchor. How close did we want to be to the main building (used for meals, entertainment, showers, etc), other amenities, other campsites & activity areas (shelters, BMX track, etc)? Finally we decided & settled in (hooked up to power, popped the roof up, put the kettle on, etc). Probably the biggest open area park we’ll ever encounter, equipped with both 15amp & 10amp power connections & easily capable of coping with the 300+ entrants expected. 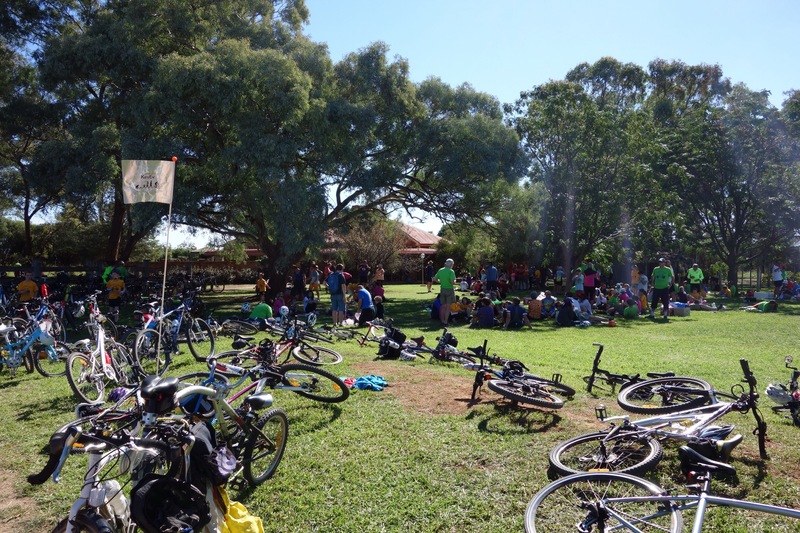 The Mudgee Muster event program included morning or afternoon rides over a variety of surfaces & distances, catered meals (breakfast, lunch & dinner) & evening entertainment (trivia, bush dancing & movies). Our preference was going to be the on-road medium distance rides but other options included off-road rides & a longer ride to the next town. All local morning rides ended at one of the close-by wineries, where our lunch pack was supplied. All very civilised, relaxing & enjoyable (cue pics from brekkie & the lunch venues). 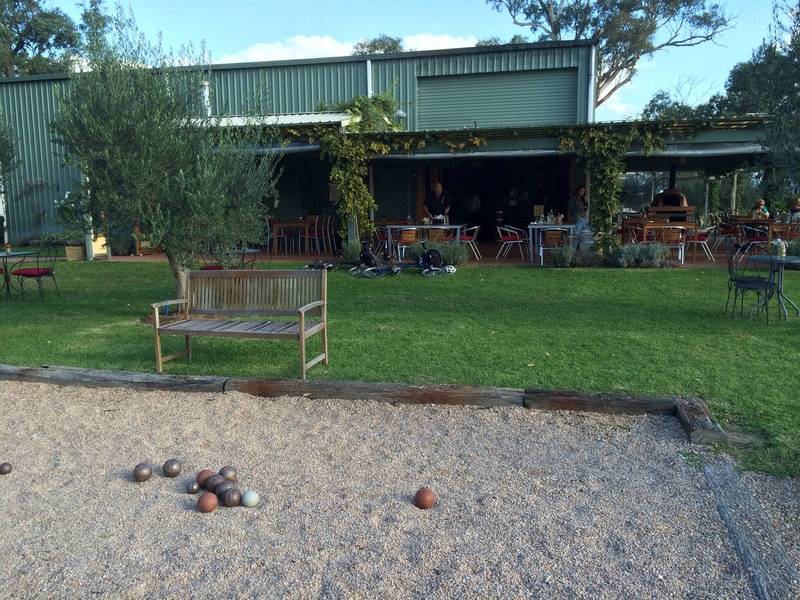 A number of Mudgee wineries have dining opportunities (along with the usual wine tasting capability) & when the initial Friday afternoon ride took us past one of our favourites on the return home, how could we resist stopping in for pizza & wine – & even some Boules play? No wonder you’ve not posted — you’ve been having enviable adventures! I don’t know that we have an equivalent event to the Muster here in the USA — perhaps we’ve not yet evolved fully enough? Sounds like a fine occasion all around, with the wineries a bit of frosting on the cake.